Your smile says a lot about you – it’s one of the first things people see when they meet you or greet you, and creates an impression of you wherever you go. If you’re a heavy coffee drinker or smoker or have teeth that are naturally more yellow than white, you may be looking for a brighter smile that helps you give the best possible first impression. 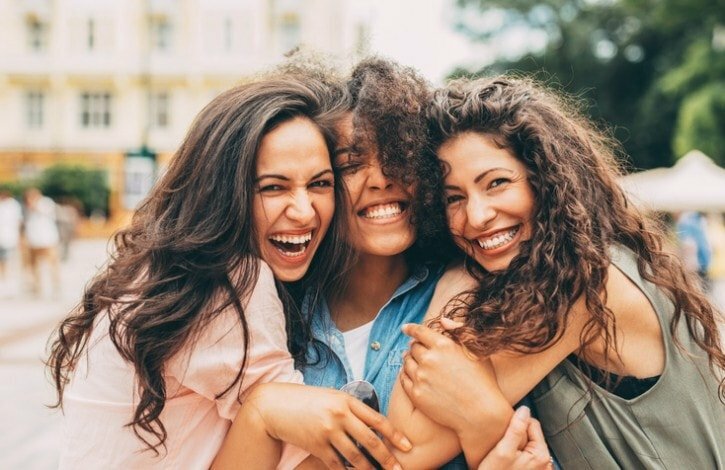 Those you already know will likely see a refreshed, more confident you after your smile has been whitened, which can really boost your confidence. We think teeth whitening is a great way to treat yourself and enhance your oral health. Before starting any tooth whitening procedure, you will need a full dental check-up to ensure that you don’t have any cavities or lingering issues with your teeth. Whitening treatments should only be applied to those with good dental hygiene who aren’t suffering from any other problems in their mouth. Your dentist will also be on the lookout for any gum sensitivity of signs of gingivitis. 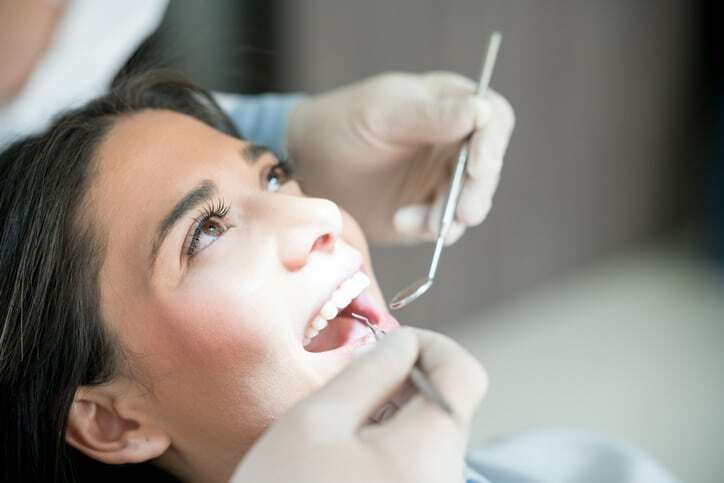 Any procedure that occurs inside your mouth can exacerbate gum pre-existing gum problems, so it’s important to make sure that your gums can handle any dental work without causing more problems or pain. It’s not recommended that those with chronic tooth sensitivity undergo a whitening procedure. All whitening treatments work on the enamel of your teeth, and if this part of the tooth is already sensitive or experiences pain, whitening could worsen the condition. As mentioned earlier, tooth discolouration can often occur because of heavy coffee drinking, smoking or other dietary habits. During the whitening procedure, which often takes several visits, dentists recommend that you stop the consumption of items that stain your teeth in order to achieve the best results. If you’ve ever chipped a tooth and had it replaced or reshaped with enamel, or if you’ve had a crown put in after a root canal or cavity, you should know that dental restorations and fillings do not respond to whitening in the same way as your natural teeth. These fillings are often made with material that matches the current colour of your teeth, and will stay the same shade during whitening, which could make these spots appear darker than your natural teeth after the procedure. Those with major dental restorations should consider the cost of having these replace after having your teeth whitened, as this is the only way to ensure that all aspects of your smile will match. Once you’ve been given the go-ahead to undergo teeth whitening, you’ll often only need one visit to the dentist in order to complete the procedure. The dentist will first give your teeth a cleaning and then place a barrier around your teeth so that they are somewhat isolated from the rest of your mouth. Your dentist will then apply a whitening gel, which may feel like a paste, onto your teeth and leave it to work for several minutes. This initial application will be rinsed away, and then the gel will be reapplied several times. In total, your appointment will likely last between 60 and 90 minutes, with the whitening procedure taking between 45 minutes and an hour, with several applications of the gel. You may experience some tooth sensitivity in the initial hours after your appointment, but this will go away within a few hours. If pain persists, you’ll want to contact your dentist as soon as possible to see if you need a follow-up assessment in person in the days that follow. There are a few key things you should do in order to maintain your new, whiter smile after you’ve finished your whitening procedure. 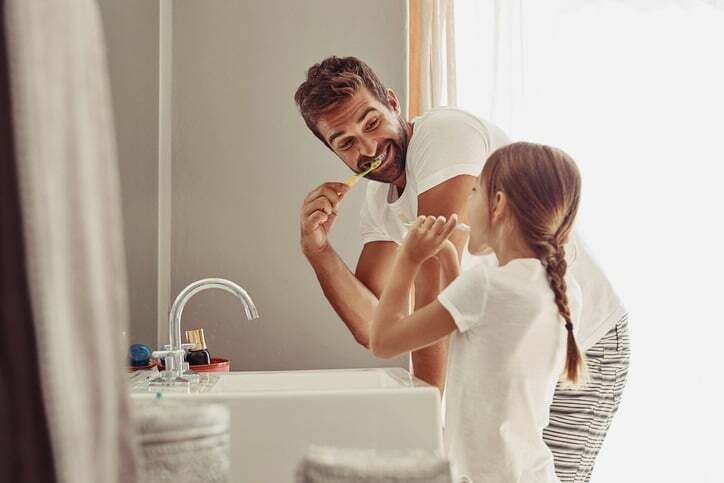 Many of these pieces of advice are habits that you should create and follow so that they become a natural part of your everyday routine – while it can be difficult to make big changes to the ways in which we behave, it will be worth it in the long run when you still have your white smile years after having your teeth treated. In order to keep drinks and other foods from re-staining your teeth, we recommend drinking beverages like coffee with a straw so that your front teeth stop bearing the brunt of the staining properties of these liquids. To cut down on your environmental impact, try carrying a metal straw with you in order to reduce the number of plastic straws you might use. To maintain your whitest smile, try to cut down on the frequency of your consumption of berries, tomato sauce, red wine, hard candy and other items that can stay your teeth. This is one of the biggest things you can do in order to keep your smile as white as possible. Tobacco stains teeth and makes them yellow much faster than average discolouration. Ready For a Brighter Smile? Get in Touch! At the Dental Implants Clinic, we have a wide range of services that help our patients get their oral health in order and have their best smile possible. In addition to teeth whitening services, we are also specialists in cosmetic dentistry. 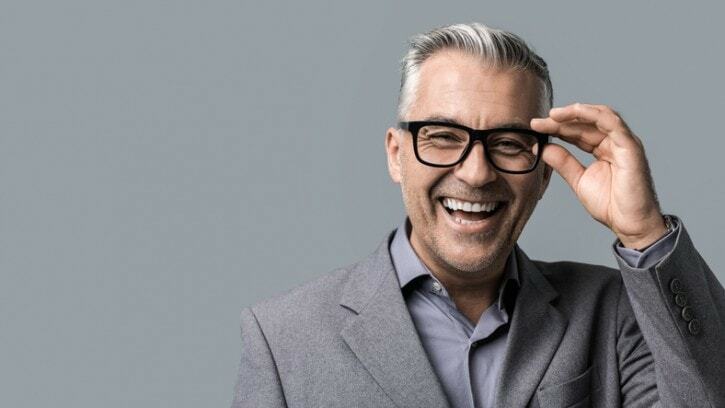 If you’re looking to feel more confident, and have better dental health, reach out to Toronto Dental Implants Clinic so we can get you started on your path to a better smile.